I don’t ever look to video-game behavior as reflective of the better angels of our nature. But still: researchers have found that when white people play as black characters in video games classified as violent, the players were more threatening, offensive and racist in real life. Scientists described the findings as ‘disturbing’ because the study is the first time the race of a computer alter ego, or avatar, has been linked to this change in behavior. Psychologist Professor Brad Bushman, of Ohio State University, said it raises the troubling impact violent video games can have on players. 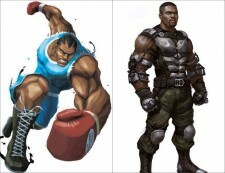 He said: ‘Playing a violent video game as a black character reinforces harmful stereotypes that blacks are violent. What? Superman’s Native Tongue Is Spanish? Brad Pitt: Jen Or The Professor?